This has been by far, one of the best announcements this year! 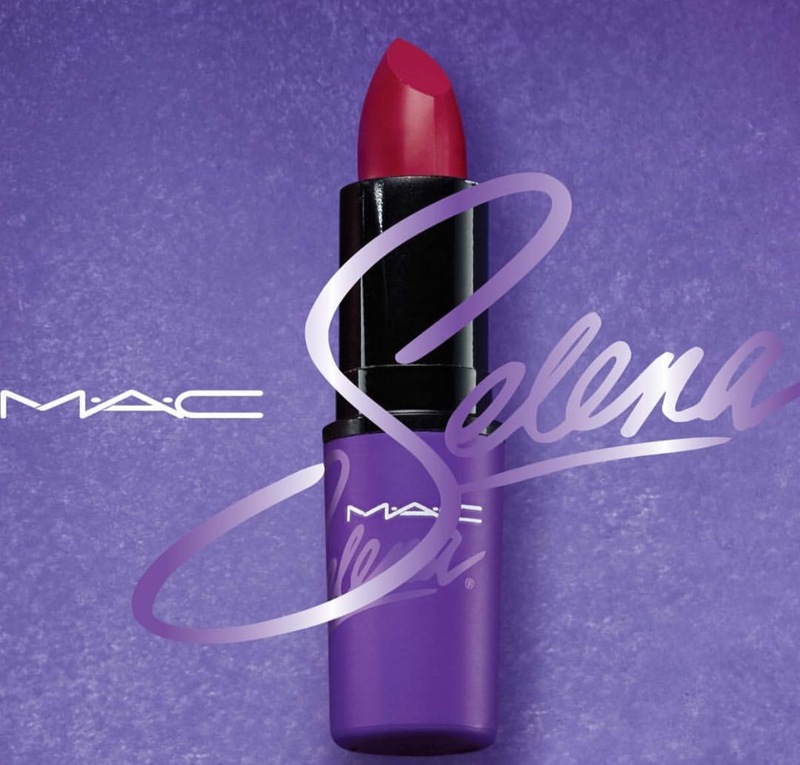 A preview of COMO LA FLOR lipstick, one of the products from the upcoming #MacSelena collection! This morning Suzette, sister of Selena posted to her Instagram. Selena's style lives on through the passing of her fans and her impact on Latin beauty and culture. #MACSelena is a makeup collaboration inspired by the devotion of all those who continue to be touched by the young legend, tenderly curated by Selena's own sister, Suzette. "I wanted the colors to be about her personally, what she wore on and offstage" says Suzette "She has been gone for 21 years already, and for this collaboration to happen its pretty much incredible. It just shows the love her fan base has even though she's gone; that her music still lives on and her legacy has grown tremendously since she passed. Its a great honor to have M-A-C collaborate with Selena's name and her fans FOR her fans"
the collection is available October 2016!! follow SELENAQOFFICIAL on instagram for more updates!